Shamima Begum, the British teenager who left the UK to marry an ISIS fighter, was recently found in Syria and expressed the will to go back home. A few days later, the Home Secretary notified her family in London of the decision to revoke their daughter’s citizenship. International law experts have been quick in condemning the illegality of the measure. Notably, they contend that it leaves her stateless, or that it is arbitrary in ways that violate the UK’s international obligations. The present contribution aims at further informing the debate by providing a concise summary of the applicable international legal framework and its implementation in the UK. Deprivation of nationality can be legitimate under international law. But due to the serious impact that it has on the individual’s rights, the practice is narrowly regulated. The general principle is that such measures should not result in the statelessness of persons, or be arbitrarily taken. The prohibition of adopting measures that result in statelessness is chiefly regulated by the 1961 Convention on the Reduction of Statelessness. The Convention envisages only few narrowly defined cases in which a person can be made stateless. However, state parties that express their intention to maintain a right to deprive persons of citizenship in accordance with national laws are allowed to do so if these are applicable at the moment of accession to the Convention (Art.(8).(3)). When it ratified the Convention in 1966, the UK declared that, even if it led to statelessness, it maintained the right to deprive a naturalised citizen of their nationality when such a person had “conducted himself in a manner seriously prejudicial to the vital interests of Her Britannic Majesty”. 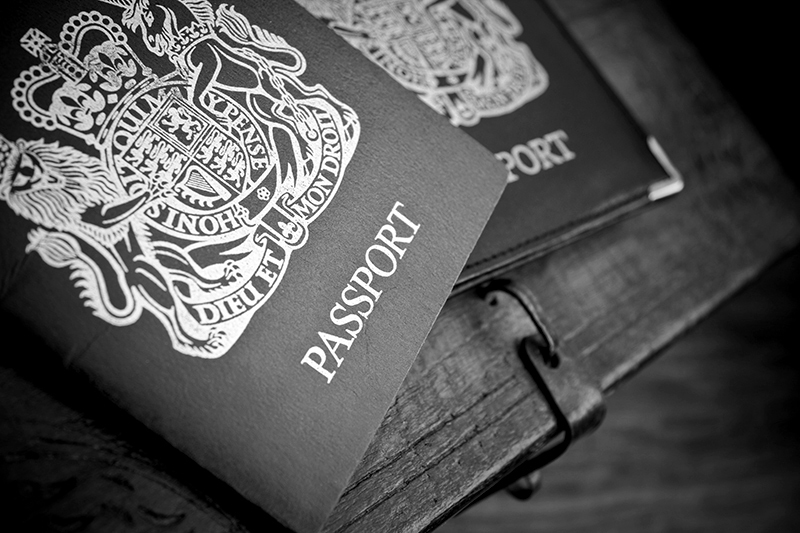 In 2002, the British Nationality Act was amended and this right was abolished. However, following the landmark case Al-Jedda, in which the Supreme Court had the opportunity to interpret the amendments and clarify the strict conditions under which a naturalised citizen could be deprived of his or her nationality, the Government wished to reintroduce the right abolished in 2002, notably in order to have another arrow in the quiver when countering terrorism. Therefore, the Act was amended in 2014 and the new exception to the prohibition of adopting measures that lead to statelessness in the case of naturalised citizens is currently regulated under section 40 (4A) of the Act. The present author shares the view expressed by Professor Goodwin-Gill, according to which the 2014 amendment is not compatible with the Convention. He argues that, since the right was repealed in 2002, the UK can no longer be deemed to fall within the category of states which can adopt decisions leading to statelessness under Art. (8). (3) of the Convention. In any case, Shamima Begum, who was born in the UK, is not a naturalised citizen, from which it follows that both under international and national law, the deprivation of her citizenship cannot result into statelessness. Indeed, outside the case of naturalised citizens, the revocation of citizenship is regulated under section 40(4) of the Nationality Act. In the case of Shamima Begum, it seems that, in the assessment of the Secretary of State, depriving her of her citizenship is conductive to the public good within the meaning of section 40.(2). However, according to section 40(4), he could not take such decision if he was satisfied that this would make her stateless. In Al-Jedda, the Supreme Court clarified that, when undertaking the section 40(4) assessment, the Secretary of State must consider the number of nationalities held by the person at the moment in which the decision is issued, and not those for which they might be eligible. According to the above-discussed 2014 amendments, the prospect of obtaining a second nationality after the deprivation of UK citizenship would have been relevant if Ms. Begum was a naturalised citizen. But this not being the case, the Secretary of State could not be satisfied that his decision was not making her stateless within the meaning of section 40(4). Indeed, while her family has Bangladeshi origins, according to publicly available information, confirmed by Bangladesh’s declarations on the matter, Ms. Begum holds only British nationality. Accordingly, the decision to deprive Shamima Begum of her UK citizenship has made her stateless, in violation of both international norms and the domestic laws implementing them. In these circumstances, the assessment of the arbitrariness of the measure does not seem to be pertinent in this case. This is because, in cases that concern statelessness, issues of arbitrariness arise only at a later stage, that is if the decision to revoke citizenship was adopted in accordance with one of the legitimate grounds in the first place. But as it has been shown, in the case of Shamima Begum, the UK Government has prima facie exceeded the limits of international law. In light of the above, even if the broadest, though questionable, interpretation of the applicable national and international legal framework was to be adopted, a similar decision could have been taken by the Home Secretary if Ms. Begum was a naturalised citizen, but she is not.